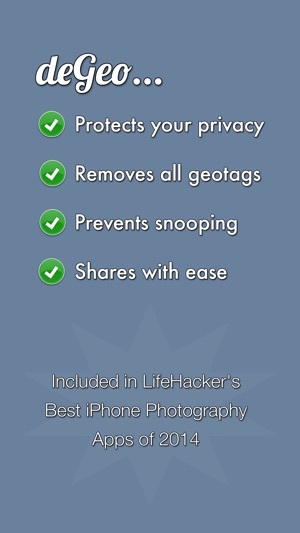 Works as expected to remove geotags and allows save back to camera roll. Only downside is that there's no option to delete / replace the original (tagged) photo automatically. But it's easy enough to do that manually since the untagged versions are always saved in the newest photo position on your camera roll. Those writing 1 star reviews should learn to use an iPhone. Why would anyone pay for an app that only gives the option to work with the last 7 photos in your camera roll? 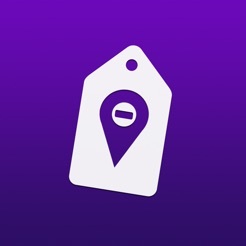 When I discovered that was the case I thought maybe there was an in-app purchase that, after already purchasing the app), would allow you to work with any photo in the camera roll, however that doesn't seem to be the case. 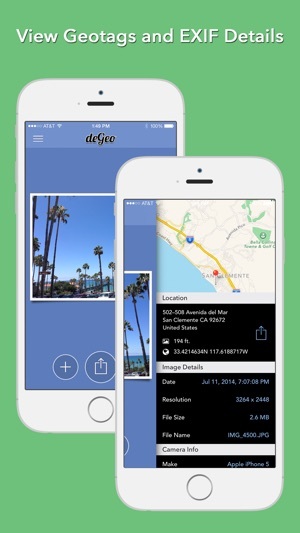 deGeo works with your entire Photo Library. It is not limited in this regard. 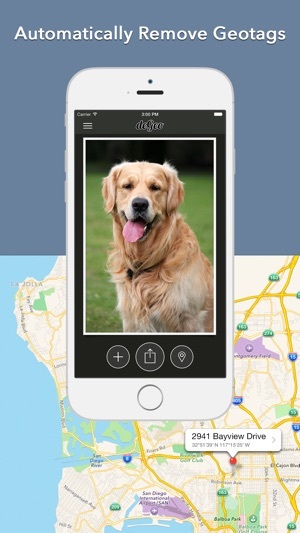 You can select any photo from any album on your device to automatically remove geotags. I appreciate deGEO: it helps ameliorate the ponderous task removing image metadata (EXIF, inter alia). Rather than take time to open an image in an advanced editor, I deGEO lets me skip that ponderous middle step. 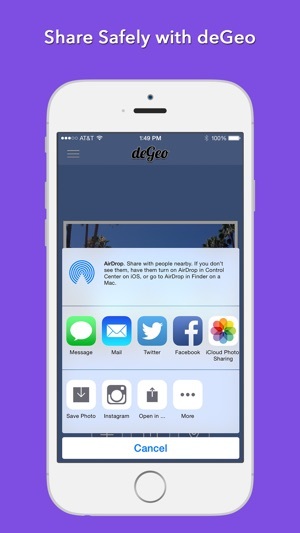 I recommended deGEO, and I h̊i̊g̊h̊l̊ẙ recommend the app "Ṿ̨̊̈į̣̊̈ę̣̊̈ẉ̨̊̈̉Ę̈̊̣̉Ẍ̨̣̊Į̣̈̊F̨̣̈̊". The latter's title says it all.